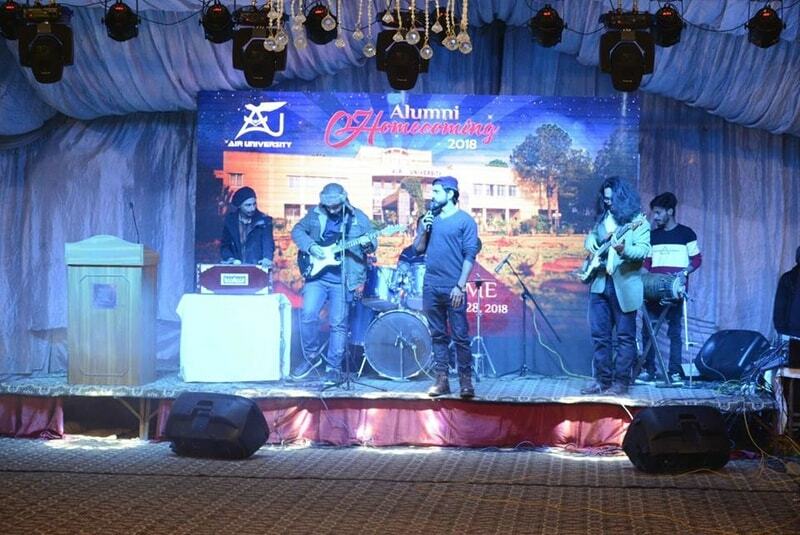 Air University on Friday (28th December 2018) held the Air Alumni Homecoming 2018 ceremony to encourage around 5,000 alumni, who have graduated during the last 14 years. Vice Chancellor AVM (R) Faaiz Amir termed alumni reunions a gateway to reconnect the graduates with their alma mater; to commemorate their wonderful past; to celebrate their present achievements and to strengthen professional networking for bright future. 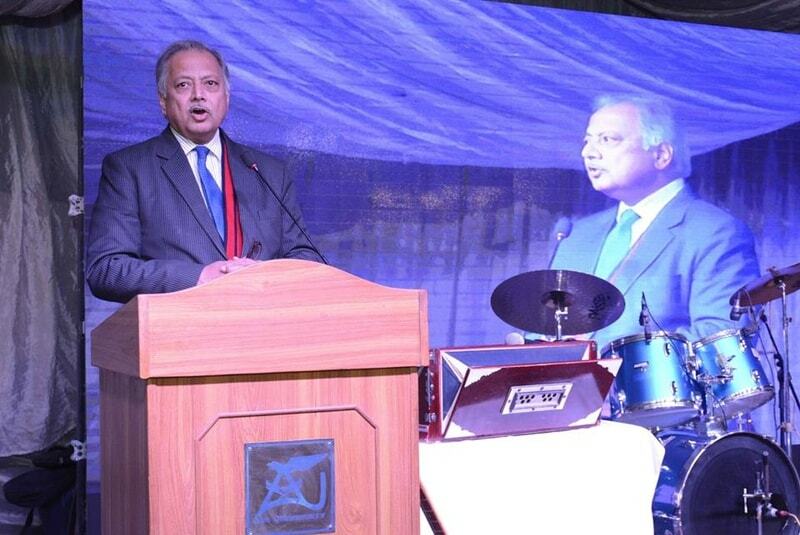 He made these remarks while addressing the Air Alumni Homecoming 2018 ceremony as chief guest. On the occasion, it was also vowed to encourage alumni to play proactive role under one platform of Air Alumni Network. 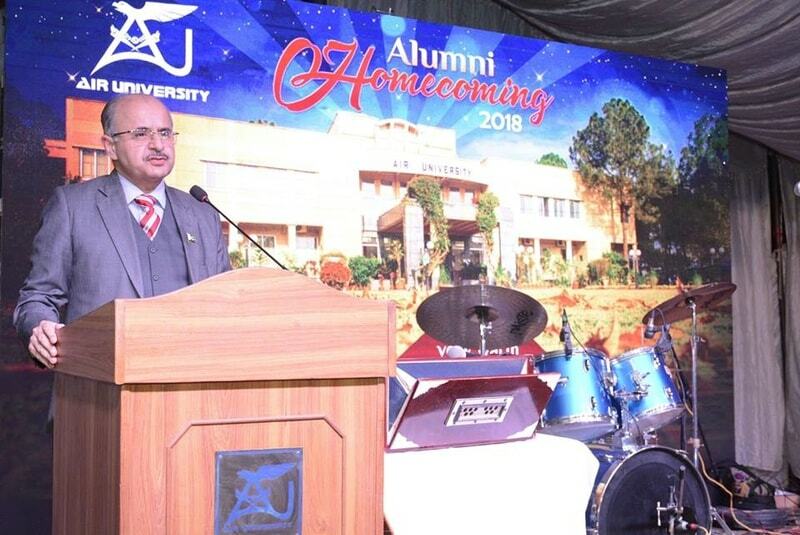 Vice Chancellor Faaiz Amir expressed gratitude to the alumni and said, “It is an excellence opportunity for alumni to reconnect with old friends by bringing them back on the campus for networking, communication and entertainment. While exchanging his views on the importance of China-Pakistan Economic Corridor, Faaiz Amir said, “CPEC project would have long-term impacts on overall economy of Pakistan in near future”. 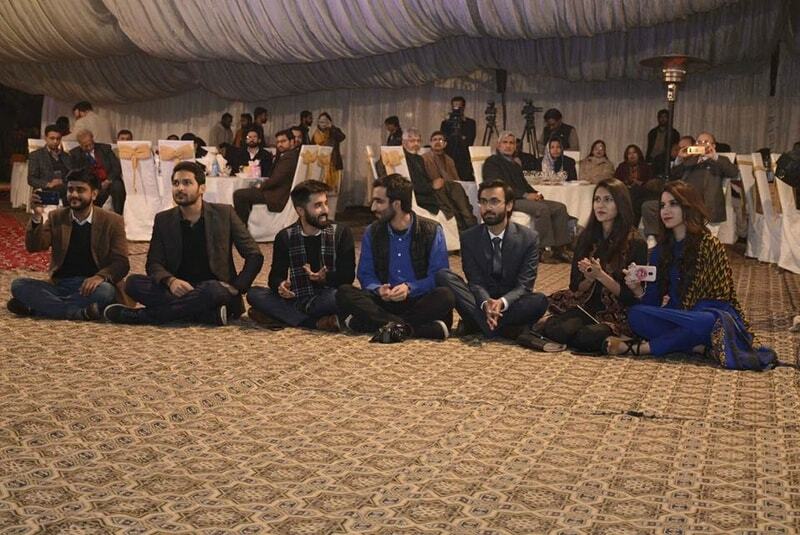 He urged the talented youth to explore emerging opportunities for professional development. The VC also informed the alumni on recent perspectives of varsity and talked on the future development plans. He hoped for the long-lasting sustainable relations with alumnus and wished them every success in their professional lives. Advisor to the VC and Senior Dean Dr Zafarullah Koreshi, in his address, emphasised on the importance of alumni for the Air University. He said that success of any university depended upon how brilliantly its alumni performed in professional life. 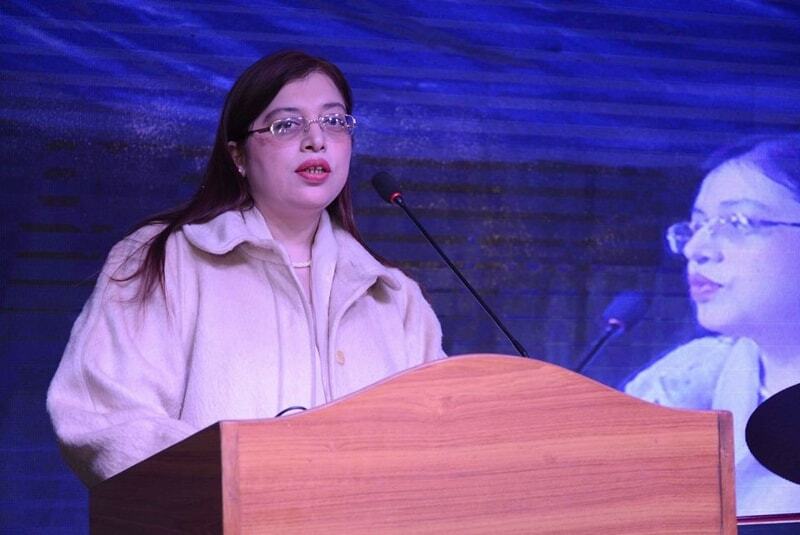 Earlier, Deputy Director Student Affairs Fazaila Ali Qazi delivered welcome speech to brief the alumni on recent advancements in academics and student facilities. A large number of graduates belonging to departments of Engineering, Business Administration, Computer Science and Social Sciences and deans, directors and faculty members were present on the occasion. The event was fascinated with musical performance, followed by dinner, in which participants actively gathered to recall unforgettable memories. Talking to media, alumnus expressed positive remarks about the reunion ceremony and urged the Air University management to organize such events on regular basis.